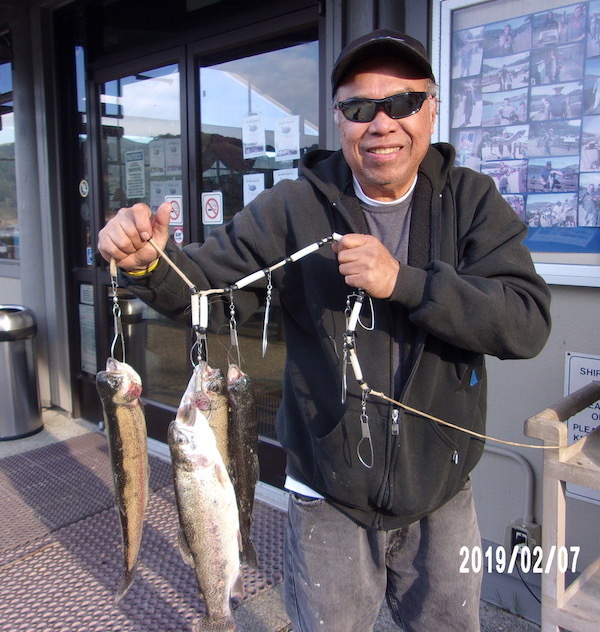 Bruce Algear of San Jose caught a trout using power-bait on 2-3-19. 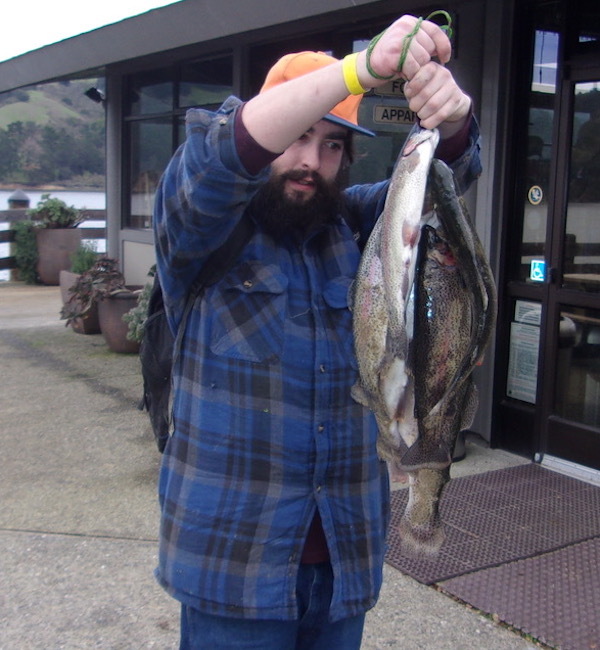 People are catching trout. The water conditions are muddy due to the recent rains. For best results use power-bait with extra garlic scent on it. The trout will hit on scent not on the color of the power-bait. Green Pumpkin and Hatchery pellet are a good choice. 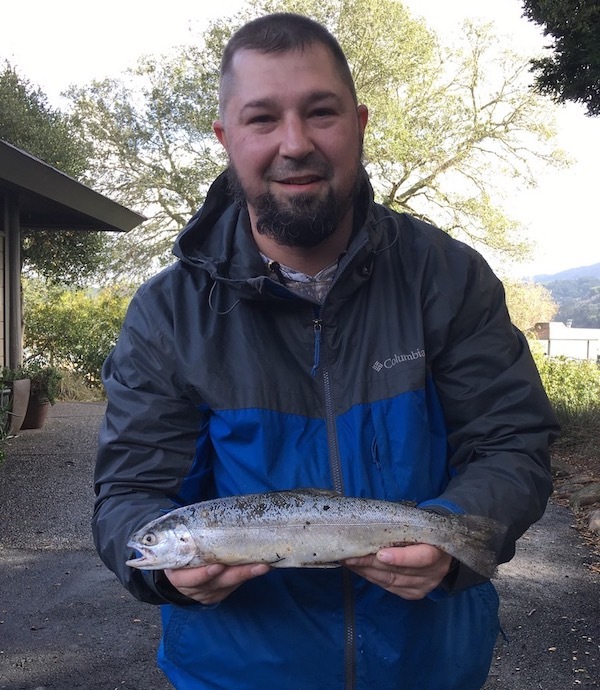 Reminder: Norcal Tournment Series Trout Wars is this coming Saturday February 16th 7am – 2pm Hosted by Red Hook Adventures. 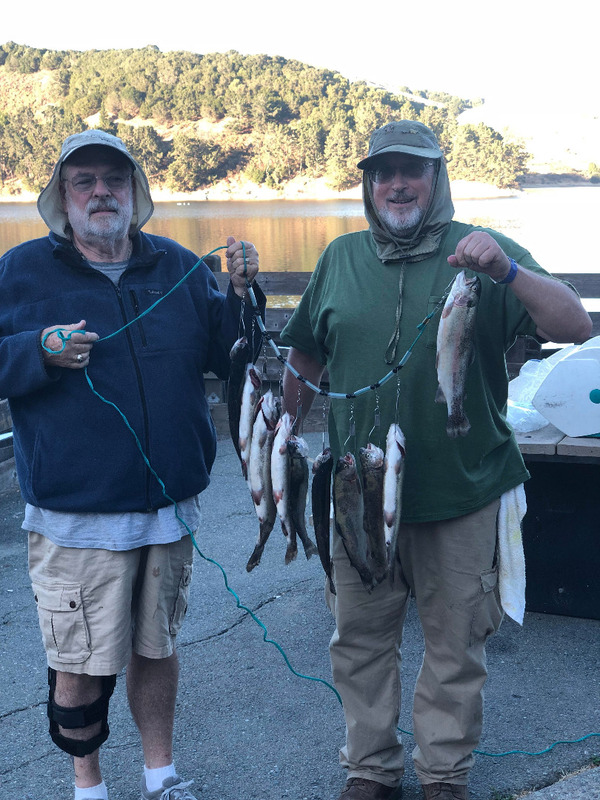 Warren and Dale Foust of Martinez caught 2 limits fishing in Scow Canyon and Sandy Piont on 2-7-19.